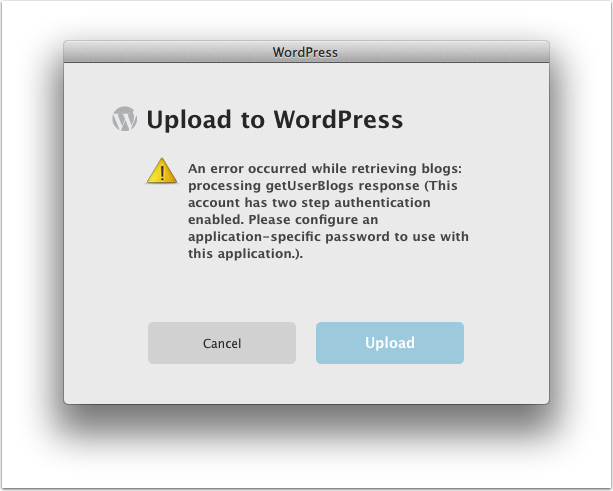 Next time you try to upload something from Clarify to Wordpress, you may encounter a message like this. Go to Wordpress Security Page. Scroll down until you see the 'Application Passwords' headline. 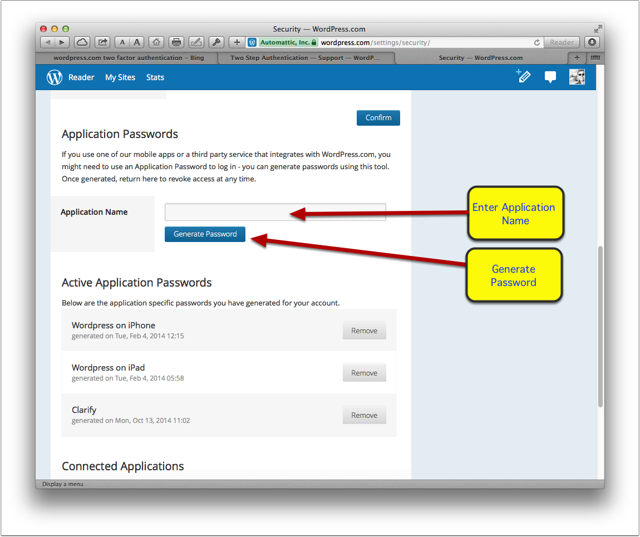 Copy the generated password and paste it into your Wordpress Settings in Clarify's preferences area.